So you’ve made the decision to digitise your documents but you’re put off having your entire archive scanned for fear of busting the budget. Well, worry no more because a bulk scanning solution is here to save the day…and your budget. Rooms full to bursting with stored documents are often a prompt for companies and organisations to go digital with their documents and filing systems. Once they’ve made that decision however, they can begin to panic that such a large scale scanning project could prove too costly for their budgets so let’s take a closer look. How Much Does Bulk Document Scanning Cost? One thing is for sure however, bulk scanning will be cheaper in the long run. The cost of your scanning project. The cost of storing the remaining documents in hard copy. So by attempting to lower costs, you are in fact spending more money! To completely abolish storage costs and benefit from the other cost savings that digital documents bring, the best solution is to invest in bulk scanning services. I specifically say services because to attempt to complete a bulk scanning project inhouse would take a considerable amount of time and really would drain your budget. 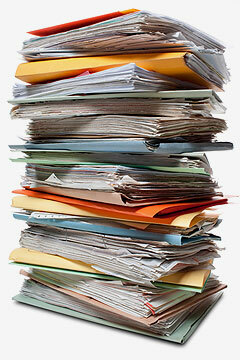 Often with scanning services, the larger your bulk of documents, the better deal you will receive. Here at Pearl Scan, we offer a completely bespoke yet affordable bulk scanning service that has helped companies and organisations across the UK to benefit from cost savings right away without incurring additional extortionate storage costs. We also offer added extras of OCR processing, storing documents on our cloud system and document management software. We provide bulk scanning London, bulk scanning Manchester and bulk scanning across the rest of the UK so if you would like some more information about the scanning documents in bulk we offer, please get in touch today. For a free, no obligation quote for your scanning project, complete our online form by following the relevant links below.